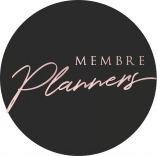 Wedding Planner Agency on the French Riviera and abroad. Wed'Love helps you in every steps to advise and reassure you in your choices. Wed'Love create, plan and coordinates all your desires for your private events. Wed'Love will take care of al details for your Wedding Destination. Welcome on our agency website Wed’Love ! We are here to help you in your Wedding Organization in order to have the best conditions and give wonderful memories to you and your guests. Either you have a family event or friends or others … we are there to take care of it because for us all the moments of life are important. We approach each wedding personally to create a wedding that reflects your personality. Each couple is unique, so each wedding. We are expert in customized wedding and in wedding destination.